How can those dying of cancer be denied a medicine that could not only ease their suffering but potentially save their lives? How can those dying of cancer be denied a medicine that could not only ease their suffering but potentially save their lives? Patients in the UK are fighting for their right to choose. And slowly, MP’s are starting to agree with them. O’Brien, 50, lives in Portslade. She was initially diagnosed with breast cancer 12 years ago, and successfully pushed it back for over 9 years with round after round of chemotherapy. The treatment wracked her body, but in 2013, the cancer came back with a vengeance, spreading to her lungs and bones. Now, terminally ill, she begs for access to medical cannabis oil. Sheila says she has been denied the right to save her own life because of “backward laws and government policy”. “I have terminal cancer and was told there was no cure. I might have believed that had I not read an article on cannabis oil. I started to research it and to my amazement, I discovered it had cured many of thousands of people. But the problem for people like me is it’s illegal. It’s illegal for me to try to save my own life. I am denied that right. Across the UK, people are begging the government for the right to use cannabis legally, and some are even choosing life over liberty and medicating despite current laws. Clark French, founder of United Patient Alliance, a national medical cannabis campaign group, proudly uses cannabis to relieve the devastating symptoms of his multiple sclerosis. He was diagnosed in 2010, and after trying various treatments, he went to using just cannabis for his condition and has been a proponent of patient rights ever since. Another group, CLEAR, is also working on helping UK patients gain access to cannabis, and has a wide following. Change is coming but will it be in time? The government is starting to listen. 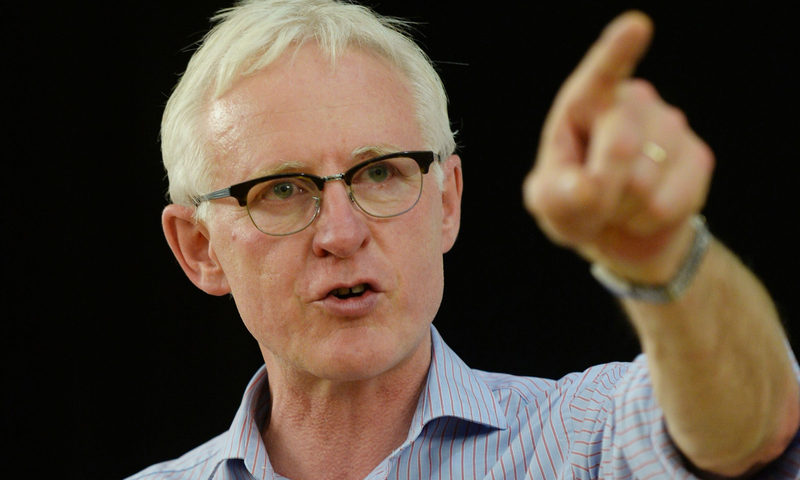 Last year, Parliament debated cannabis legalization under the efforts of former coalition Health Minister Norman Lamb, and on March 23rd of this year, a bill that would legalize cannabis was heard under the Ten Minute Rule, but made no further progress. Liberal Democrat party continues to push for reform of cannabis law, armed with studies and scientific research, and in a nearly unanimous vote, have made cannabis legalization official party policy. While cannabis is still illegal in the UK, pharmaceutical drugs containing the constituents of the plant are legal. The UK is one of the few nations to allow Sativex, a medicine developed by GW Pharmaceuticals, containing THC and CBD. However, patients who use whole cannabis extracts, such as Rick Simpson Oil, see far more effective results due to the phenomenon known as the entourage effect, where different constituents of the plant work in synchronicity, enhancing their efficacy. Canada and Mexico are putting cannabis legalization on the table, as they announced at the latest UN meeting, and already almost half of the United States has legalized medical use. Other nations are also changing their laws on cannabis. Will the UK move forward into the future and save the lives of its citizens, or stay bogged down in the draconian laws of the past? Share your voice on social media or in the comments below.